If you have a desire to work in the ever growing Nail Care Industry, our Nail Technician Program is for you! 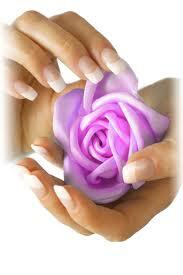 Cedar Stone has a separate program related to the care of hands, feet and nails. Our Nail Technician Program is designed to prepare the student in a knowledgeable background of nail structure, diseases and imperfections, various nail techniques, natural and artificial nail applications. Our Nail Technician Program is offered part time days or evenings. Students are able to complete our 150 hour program in 15 weeks. Please see our academic calendar for class start dates. Total program cost is $2,000. Textbooks and a starter supply kit are included in this fee. Begin your “creative nail” career today. Get started in our Nail Technician Program call (540)801-0078 or email us at cedarstoneschoolofmassage@yahoo.com with any questions you may have.